 About the owl Ralph has been sponsored as a celebration of 25 years since the National Trust acquired Prior Park and is named after its owner, the celebrated 18th century Bath entrepreneur, Ralph Allan. 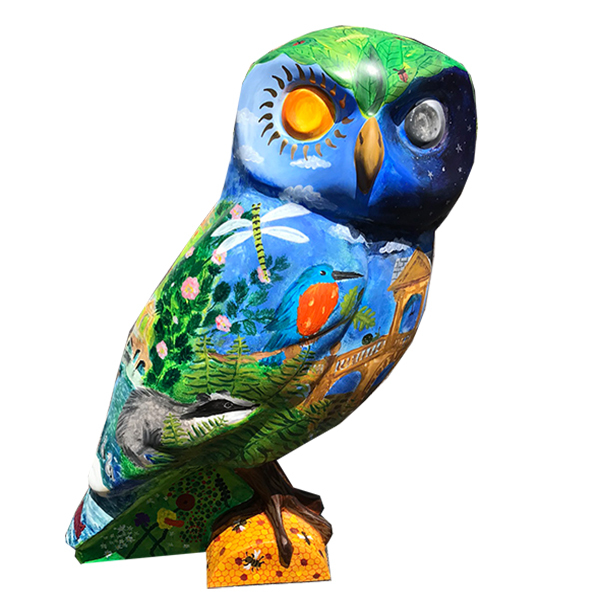 Ralph the Owl was decorated by staff and pupils at Widcombe Junior School to reflect the main features of the grounds at Prior Park, including the famous Palladian bridge, the impressive Prior Park School and its plentiful wildlife. Ralph has leaves for feathers on his head (i.e. Magritte) and sun and moon for the eyes, plus plenty of insects and wildflowers that can be seen at Prior Park Landscape Gardens. About the sponsors A Church of England Junior School, part of the Palladian Academy Trust. Rated Outstanding by OFSTED. About the artist "I was really excited to be part of our school group of Owl artists, and I especially liked having the chance to do a design, and seeing parts of my plan on the finished Owl." Year 6 pupil. Where? Pedestrian Access Only. Fishponds Cottage Garden, Church Lane, Bath, BA2 6BD. Walk up the lane from Widcombe to see Ralph nesting in the garden of the Grade II listed National Trust Cottage. If you carry on walking you can visit the Combe Down and Monkton Combe flock!